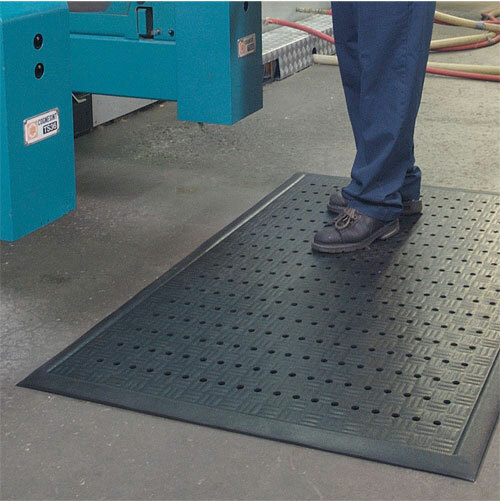 The 1/2" Optimat Anti-Fatigue Mat has a unique honeycomb design providing excellent drainage removing liquids and debris from the worker platform. The heavy-duty Nitrile rubber compound provides the ultimate in grease and oil resistance. Modular design allows for custom configuration. 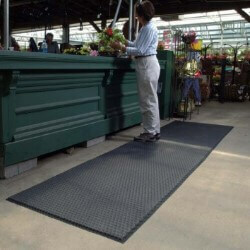 Pebble Trax™ offers comfort and ergonomic support in dry environments. 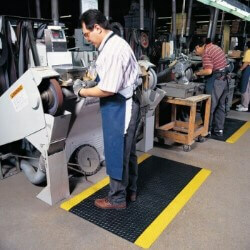 With its pebble-embossed rubber top, the 1/2" Pebble Trax™ and 1" Pebble Trax™ Grande provides non-directional traction, is easy to clean, and resists exposure to sparks from welding. 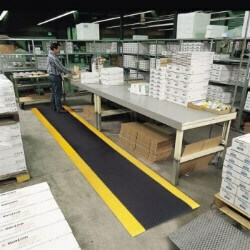 Razorback™ with Dyna-Shield® is a long lasting 1/2" anti-fatigue mat designed to provide traction with its wide ribs that run from side-to-side allowing for sure footing and is easy to sweep clean. 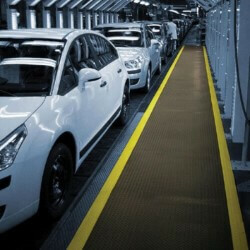 For use in medium duty dry work areas. 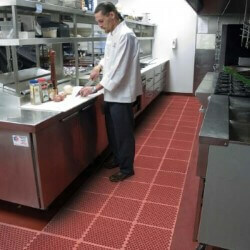 At 1" thick, Saddle Trax™ is thicker, heavier, and stronger, engineered to meet the toughest requirements of today's industrial applications and is particularly suited for multi-shift operations in dry work areas. 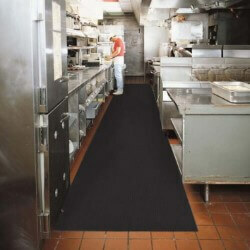 It is the ultimate anti-fatigue product maximizing worker productivity and comfort.